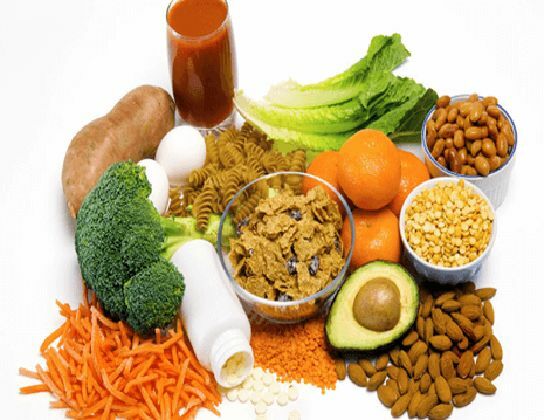 Washington D.C. [USA], Apr 13 : You may want to take a diet rich in B vitamins as a recent study has suggested that it can help keep you from succumbing to air-pollution-induced heart problems. In the research conducted at Columbia University's Mailman School of Public Health, healthy non-smokers who took vitamin B supplements nearly reversed any negative effects on their cardiovascular and immune systems, weakening the effects of air pollution on heart rate by 150 percent, total white blood count by 139 percent, and lymphocyte count by 106 percent. This is the first clinical trial to evaluate whether B vitamin supplements change the biologic and physiologic responses to ambient air pollution exposure. The study initiates a course of research for developing preventive pharmacological interventions using B vitamins to contain the health effects of air pollution. "Ambient PM2.5 pollution is one of the most common air pollutants and has a negative effect on cardiac function and the immune system," said principal investigator Jia Zhong. "For the first time, our trial provides evidence that B-vitamin supplementation might attenuate the acute effects of PM2.5 on cardiac dysfunction and inflammatory markers." Researchers recruited ten healthy, 18 to 60-year-old, non-smoking volunteers who were not on any form of B vitamin supplements or other medication. All volunteers received a placebo for four weeks preceding a two-hour exposure experiment to concentrated ambient PM2.5, after which they were administered B vitamin supplements for four weeks before the next two-hour exposure experiment to PM2.5. A particle-free two-hour exposure was included to provide baseline data. The controlled exposure experiments were conducted from July 2013 to February 2014 at the same time of day and adjusted for season, temperature, and humidity. "Our results showed that a two-hour exposure to concentrated ambient PM2.5 had substantial physiologic impacts on heart rate, heart rate variability, and white blood counts. Further, we demonstrated that these effects are nearly reversed with four-week B-vitamin supplementation," noted researcher Andrea Baccarelli.